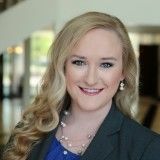 Justia Lawyer Directory Search for "Taylor C Powell"
Search for "Taylor C Powell"
Taylor Mohr distinguishes herself by offering effective, affordable, and compassionate legal services. Her practice focuses on family law in Williamson and Travis counties. She is a member of the Williamson County Bar Association, Texas Bar Association, Texas Trial Lawyers Association and the Baylor Law Alumni Association.